In 2017, I joined an appraiser’s consortium under the Madison Group (MGFAA). Together, we are a one-stop shop for all your appraisal needs, from fine art to wine to antique furniture to rare books to historical artifacts, jewelry and other rare and valuable collectibles. Our associated professionals bring decades of knowledge and experience in their respective fields and are each recognized experts in a variety of areas of specialization and industries. Charles has worked as a personal property appraiser, consultant, researcher, and writer specializing in historical artifacts, rare and antiquarian books, fine art, and antiques for over 19 years. 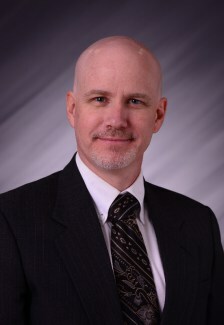 He earned his degree in History from UMKC in 1995, with emphasis on the cultural, political and military history of the 19th and 20th centuries, and the history of science. He has also attended the Rare Book School at the University of Virginia where he specialized in the principles of bibliographic description of books of the hand press era, 1450-1800. While having chosen to work outside academia, he has nevertheless consulted with or made special presentations for numerous institutions around the world, including the New York Metropolitan Museum of Art, Philadelphia Museum of Art, Nelson-Atkins Museum of Art, Vincent van Gogh Museum, Amsterdam, the University of Illinois Special Collections Archive, Imperial War Museum, London, and others. He also served on the board of trustees of the National World War I Museum, as well as on the museum’s accessions committee. Charles has worked with historical pieces spanning millennia, from ancient Egyptian artifacts to former Iraqi president Saddam Hussein’s uniforms. He maintains membership in the International Society of Appraisers (ISA), as well as an international network of colleagues in academic and appraisal circles to assist with complex projects or specialized research. He currently serves on the executive committee of the H.G. Wells Society in the UK, regularly contributes to society publications, makes frequent appearances in media, including radio in the US and UK, and as a fact checker for various news organizations. He continues to publish on various aspects and periods of history, with his current research focusing on the international cultural impact of Weimar-era German cinema. 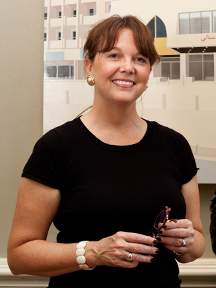 The Principal of Madison Group Fine Art Appraisals, Rachael offers over twenty-five years of comprehensive experience in the visual arts and is a certified member of the Appraisers Association of America. From 2001-2012 she was the Director of the Kemper Museum of Contemporary Art in Kansas City, Missouri, an institution recognized for its collection of modern and contemporary art, for its exciting exhibitions of work by established and emerging artists, for its large-scale public art projects, and for its Collectors Forum program for art collectors. Prior to this, Rachael was Executive Director and Chief Curator of the Iris and B. Gerald Cantor Foundation in Los Angeles, which controls the world’s largest collection of sculpture by the 19th Century French master Auguste Rodin. Rachael has curated exhibitions for many major museums including The Metropolitan Museum of Art, The Brooklyn Museum of Art, Los Angeles County Museum of Art, Philadelphia Museum of Art, and the Kemper Museum. She has led major projects at The White House and New York’s Rockefeller Center and internationally, in Australia, France, Russia and Singapore. Her record of publications produced in conjunction with these exhibitions is extensive. Rachael holds an M.A. in art history from California State University, Los Angeles, and a B.A. from Texas Christian University. She serves as a peer reviewer for the U.S. General Services Administration’s Art in Architecture program and also for the Museum Assessment Program managed by the American Association of Museums. She is a former Chair of the Southern California chapter of ArtTable, a national organization for professional women in leadership positions in the arts and a current member of the advisory panel for Art 21: the award-winning PBS television series on the visual arts.